We will be kicking off our summer blog series by introducing our interns here at the Greater Wilkes-Barre Chamber of Commerce. The Chamber has three summer interns, including myself, and all offer something new and exciting to the environment at the chamber! The first intern to be introduced is Ashlee Harry. A native of Edwardsville, Ashlee found her way to the chamber through the guidance of an English professor at her college, Penn State Wilkes-Barre. Ashlee is a senior at Penn State Wilkes-Barre and spends her time studying English. 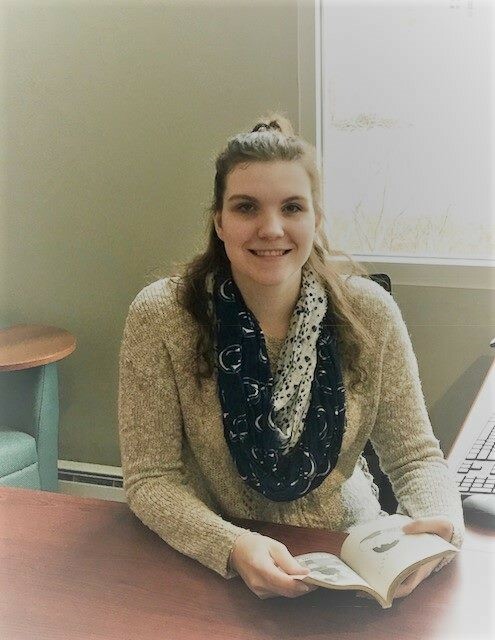 She chose to pursue an internship at the chamber because she wanted to improve her writing skills and help narrow down her future career choices. Ashlee works as a Communications and Social Media Marketing Intern. Specifically, she wanted to join the team at the chamber to learn techniques beyond her current writing abilities and also to focus on her interests as an English major. During her time at the chamber, she has assisted Meghan Flanagan, the Communication and Resource Manager, in writing and editing press releases. Additionally, she has edited biographies and programs for the EPIC Awards, which were hosted by the chamber this past month. She has also been able to attend events and learn more about what goes into event planning for a non-profit organization. Ashlee hopes that her summer internship will help prepare her for the fall, when she will be completing a full internship at the chamber. Right now, she is doing a partial internship at the chamber to ensure she is fully prepared when the time comes. 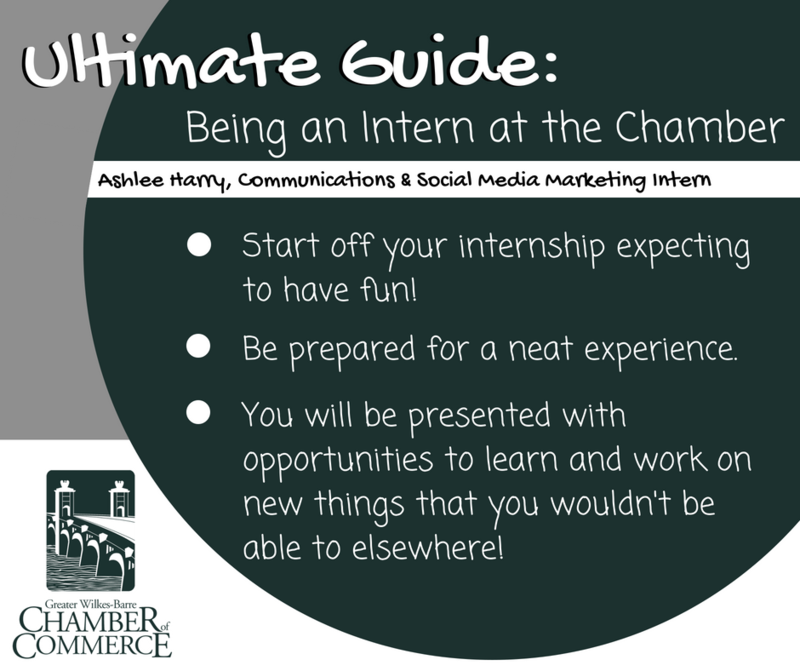 By beginning in the summer, Ashlee will have a stronger influence on the chamber when she is doing a full internship. Ashlee plans to increase her experience within the field of writing by working in different areas that she is not already accustomed to. Speaking of her writing abilities, Ashlee has already written three books, two of which are self-published. The focus of her self-published works, The Guardians and Ascension, is her love of Greek mythology. Because of her love of writing, Ashlee pictures herself landing a job offer with a major book publishing company after her graduation from Penn State Wilkes-Barre. And, of course, she hopes they will want to publish her books too! When she’s not at the chamber, Ashlee loves relaxing and enjoying the nice summer weather by swimming, hiking, and hanging out with friends. Ultimately, she cannot wait to see the influence working at the Greater Wilkes-Barre Chamber will have on her future endeavors.